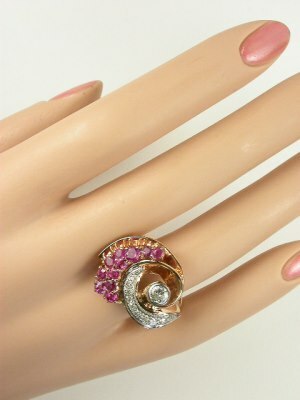 The iridescent curved appeal of a beachside conch shell comes to mind with this Retro Modern ruby ring in rose gold. 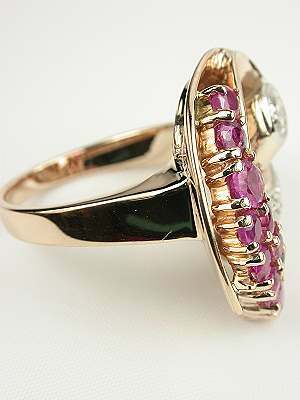 The 14k rose gold band of this Retro Modern ring provides a romantic backdrop for the collection of eleven rubies that accent it. 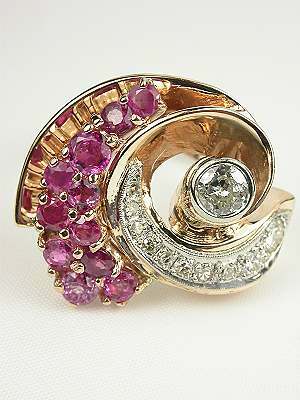 Totaling 1.55 carats, the rubies are inner swirled with a crescent of eight round single cut and two round full cut diamonds. 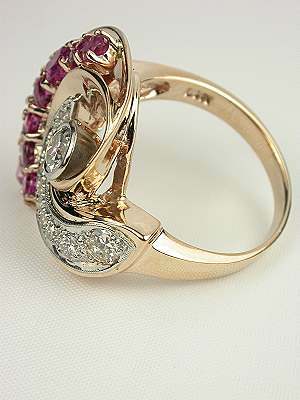 Inside the crescent lies an old style round brilliant cut diamond. 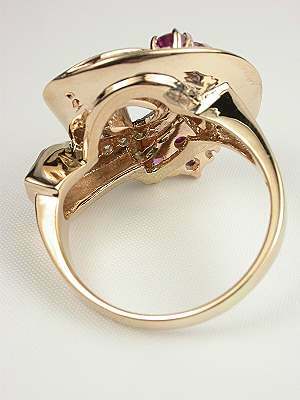 The total diamond weight of all eleven diamonds that accent this vintage jewelry piece is 0.60 carats. Circa 1940.